Why are my roles not visible in a Multi-site/Network? My network is showing roles in some sites and not in others. For some reason that I can't explain, when I add a new user, I have no roles to choose from in the drop down box of a sub-site in my network. Also, my new user assigned to a site is not showing on my list of users for that site. Below an image of the current situation. Below is the picture showing the main site with the roles properly there, but the sub-sites of the network don't. The table you are editing will have option_id, blog_id, option_name, option_value, autoload. However, DO NOT CHANGE ANY RECORD except the record where option_name = wp_user_roles. There will only be a single record in this table like this. wp_user_roles is used when there is no Multisite install, and here, it appears as though it was just a bug when the table was created. If this is the problem I know so well, you are running a memcache setup behind your MU install? I've found that there's apparently a cache issue (witnessed in 2.9) for the options object where something good (like the wp_user_roles key) gets stuck in the "notoptions" memcache array. If you do run atop memcache, and this sounds like a possiblity, try telnetting into the machine via 11211. Type delete blogid:options:notoptions, where the blogid is the id of the blog on which you see the issue. Refresh the admin panel and see if there are roles in the dropdown. If so, you've found your problem. I had this problem with a Multisite installation after reinstalling WordPress and restoring from an Updraft Plus backup. When I checked the user_roles record, the option_name was still set to the original four character prefix, such as pre1_user_roles, whereas the prefix for the second installation was something like pre2_user_roles. I updated this to pre2_user_roles and the options immediately reappeared in the user options page. THANK YOU. This issue represents a solid 10 hours of debugging. This was a real bear for me. To expand on this a bit, I added a function to my site that will allow you to resolve this issue if you're creating sites programmatically. Basically, this will check to see if wp_user_roles was set in the specified blog. 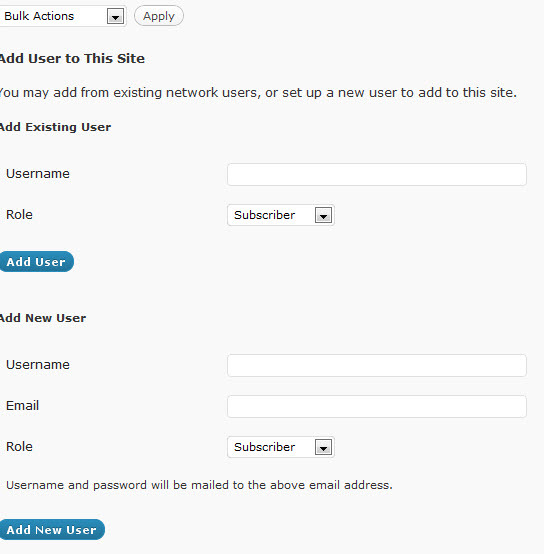 If it is, the function will use wp_user_roles to set a new option in the correct manner. I just wanted to say thank you for this article because I've been searching for a solution to this problem for a long time. It was simply because I had used a plugin to clone my sites and it never updated the wp_##_user_roles properly. When the site copied over from wp_13... it was cloned over to a new site wp_81... but this entry was still stuck at wp_13. I believe "1" is always the ID of the root site. Not the answer you're looking for? Browse other questions tagged multisite users user-roles or ask your own question. 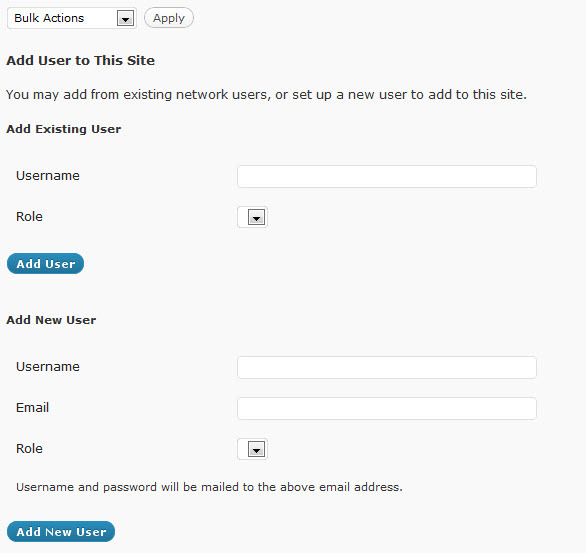 How to show sites under “My Sites” Menu in admin panel wordpress multisite?